If ever I’ve felt out of my depth in an exercise class it was the day I was kicking (literally) around with the big boys at Kick Fitness. Thought up by Christian Thomson, a former kickboxing World Champion, he wanted to create a class around his love of kickboxing, but give it a twist to include the stretch aspects of Yoga and the elements of tabata and High Intensity Interval Training. Staring with a warm up, which including some HIIT exercises, I think I did well enough to keep up with all the (massive) men in the class – by staying upright. We then went on to do some boxing. I love boxing, but being teamed up with a guy scared me slightly, I thought I was punching pretty hard, he probably thought I was a complete wimp. Even worse when he started punching me – I feared for me life! All the same it was a pretty good workout – the sweat dripping from my face was a good measure of my exertion. Next was the kicking part. Now, I hate being bad at things, and the fact that I have no patience probably doesn’t help matters. So as Christian taught me various kicks, with pointy toes and side twists I really did try, but maybe kicking and coordination isn’t my forte?! The last part of the class was probably the scariest – I had to put everything I’d learnt into practice – in front of the rest of the class. Watching Christian put everyone else through their paces just scared me more, made my palms sweaty and definitely made me want to run screaming out of the class. BUT I braved it and after about 10 minutes of getting anxious I put myself forward – putting me through my paces, with a left jab here and a random kick there (and what seemed like lots of laughter from the rest of the class) I was able to hang up my boxing gloves and retire – phew! Despite my reservations it was a lot of fun and of course a great workout. 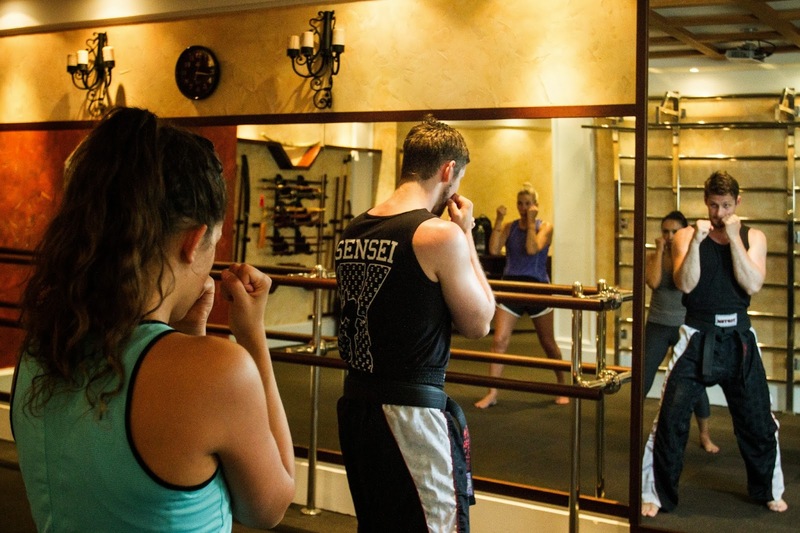 Where else can you punch and kick out your frustrations of the day? Classes are held at the Colombo health centre in Southwark every Tuesday and Thursday evening – check out their website here.